William Henry Moody was born on the family�s farm in Newbury, MA, on December 12, 1853. He graduated first from Holten High School (1869) in Danvers, then from Phillips Academy (1872) in Andover, and finally from Harvard in 1876. Moody briefly attended Harvard Law before studying to become a lawyer in the office of Richard Henry Dana, Jr., Massachusetts lawyer and author of Two Years Before the Mast. After passing the bar exam in 1878, he practiced law in Haverhill. He also participated in the community by serving on the Haverhill school board, becoming a member of the city water board, and acting as city solicitor (1880-1890). He held the position of district attorney for the Eastern District of Massachusetts from 1890 to 1895. During that time, Moody was a special prosecutor in the trial against Lizzie Borden for the 1892 axe murder of her parents. 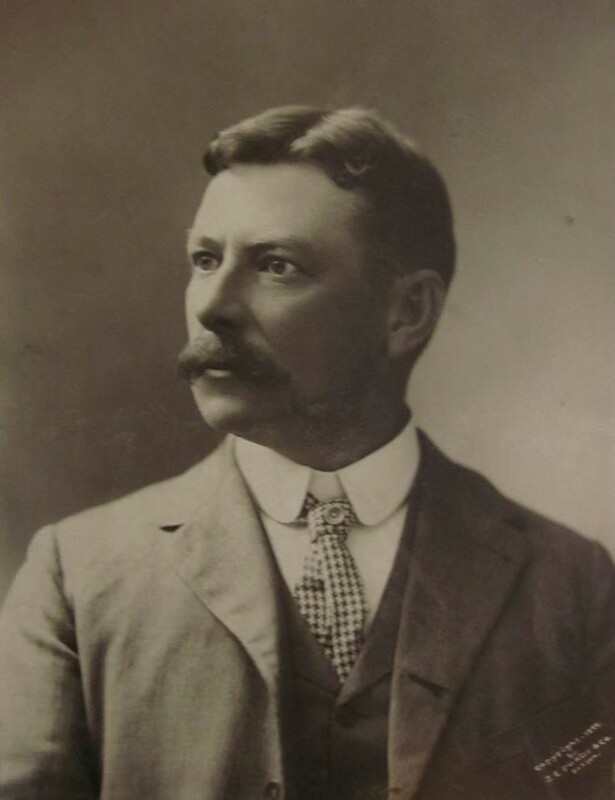 Although Borden was acquitted, Moody gained public attention and respect. Moody�s talents next took him to Washington, DC, where he had been elected as a Republican to the House of Representatives. He represented the Sixth District of Massachusetts in Congress from 1895-1902. President Theodore Roosevelt then selected him to join his cabinet first as Secretary of the Navy (1902-1904) and then as Attorney General (1904-1906). 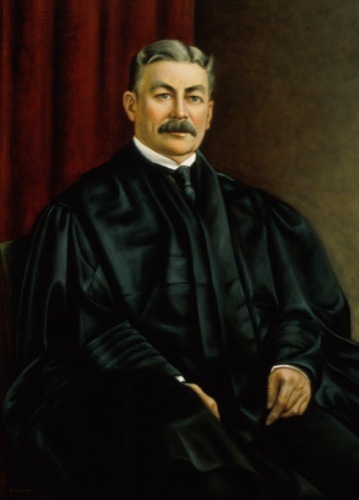 Roosevelt then appointed Moody to the U.S. Supreme Court, where he served from 1906 to 1910, although severe rheumatism forced him to stop working in 1909 and retire in 1910. Moody died July 2, 1917, at age 63, after several years living in Haverhill as an invalid. Click here to learn more about William Moody (you will be taken to an external website).